'Legends of Tomorrow' heads to the 1980s to track down Vandal Savage's next move. It involves breaking into the Pentagon, finding a Soviet scientist, Valentina Vostock (Stephanie Corneliussen), and getting their hands on some important classified information. The two clips below find Leonard Snart and Ray Palmer undercover, a testy exchange between Jax and Dr. Stein, and Rip Hunter evaluating all the evidence. 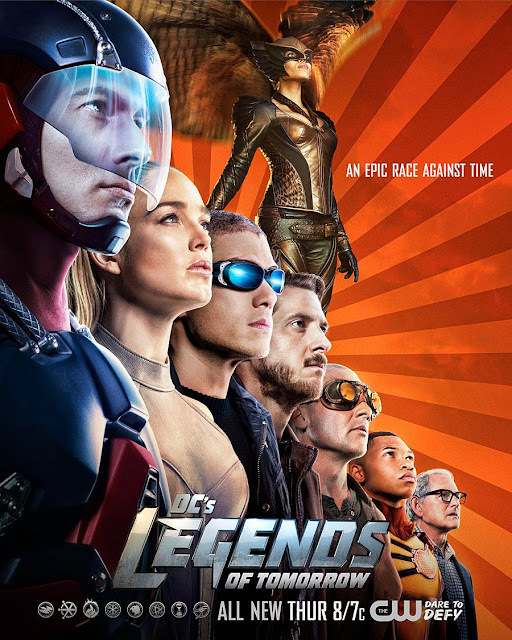 'DC's Legends of Tomorrow' take on a new era in a new episode tonight at 8/7c. STEPHANIE CORNELIUSSEN (“MR. ROBOT”) GUEST STARS AS VALENTINA VOSTOCK – When Vandal Savage (guest star Casper Crump) retreats behind the Iron Curtain in the early 1980s, a string of nuclear scientists begins to mysteriously disappear. The team follows Vandal’s trail straight into the heart of the Soviet Union in an attempt to find his next target. Ray (Brandon Routh) tries to bond with a beautiful Soviet scientist, Valentina Vostock (guest star Stephanie Corneliussen), in the hopes of finding out Vandal’s next move. When Valentina rejects him, it’s Snart (Wentworth Miller) to the rescue. Stein (Victor Garber) pushes Jax (Franz Drameh) to be better, which frustrates Jax and ultimately threatens the Firestorm matrix. Rip (Arthur Darvill) asks Sara (Caity Lotz) to train Kendra (Ciara Renée).